Details: At least 37 Renault Kangoo vans were added to the central fleet during 2018, a couple of which have not yet been seen. Maxi van 8623R is in LUL livery and appears to be based in the north-east corner of London. 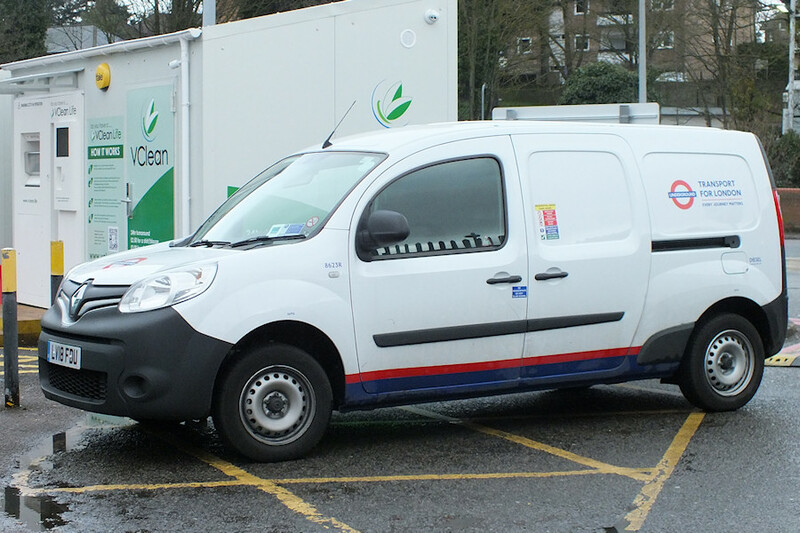 After delivery it was not reported again until Ivor photographed it parked at Epping Station on 6th March 2019. Later the same month it was noted at Hainault Depot.